Take a little sample of the population today—how many manly men are left? We’re talking the man who knows how to BBQ the perfect steak, knows what wine matches what entrée, and can spin a yarn about the history of whiskey. Whether it’s the garage or the backyard, your space is your kingdom, and that’s why you need the best thrones and décor to flood the castle. Know how to pair a cigar and shot together? 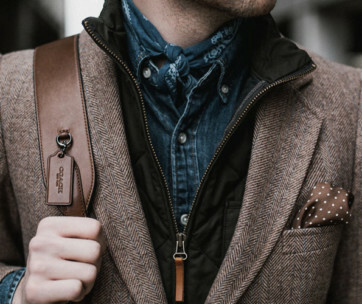 We know how to pair men together with the perfect solution to their everyday problems, so check out our list of the top gifts for the manly man and find the perfect one for you or your loved ones. Some like it black while some love it with a hint of milk. Some prefer to have it sweet while others would rather go with the classic bitter taste. And if you happen to belong to the latter, then the Death Wish is for you. 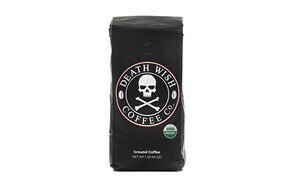 Every bag of the Death Wish contains only carefully selected coffee beans that are roasted in a very meticulous process to bring out the natural coffee goodness of each bean. Warning! The Death Wish is considered to be the strongest coffee in the Solar System. If you don’t have the heart for downing the Death Wish, steer clear. We continue our gifts for the manly man list with this great tool. 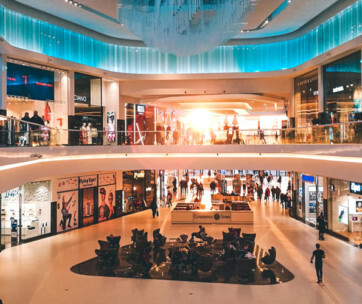 We all have a dozen seemingly-useful tools around the house for various tasks, but in reality, we’re just collecting clutter. 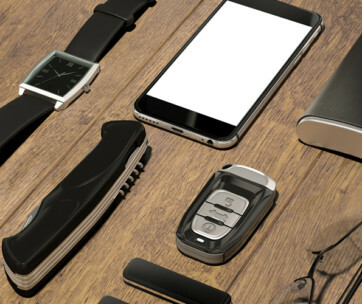 When you look to a real tool, like the Swiss Army Knife, you know what you’re getting. You know what other tools you can cut out of your life. The Tactica M100 replaces more unnecessary tools from around the house that you’d ever realize–package opener, ruler, wrench or bottle opener, it does it all. Declutter and replace those outdated tools with a Tactica M100. Planning on hosting a really cool party this weekend or perhaps heading to the beach for some much-needed fun? 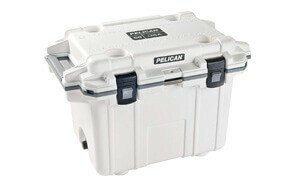 It doesn’t matter what your idea of a cool party is as long as you have the Pelican Elite keeping all of your beverages and other party food stuffs cool inside its spacious 50-quart cavern. The Elite comes with a leak-proof drain plug to help keep the internal temperature low while allowing for efficient drainage later on. What’s really cool about the Elite is that it can keep your ice frozen solid for up to 10 days. It’s clearly the gear that beats other coolers. Don’t you ever get tired of having to eat your snacks or even your lunch in lukewarm conditions and not in its ideal temperature? You will no longer have to worry about such things if you get the Carhartt Gear Deluxe Lunch Cooler now. Its spacious 6-pack main storage compartment is fully insulated to keep your food items in their preferred temperatures. The casing is made of 100% polyester and finished with the Rain defender water repellent system. It also has a fully insulated top compartment for additional storage plus a front pocket for your utensils. Say goodbye to stale lunches with the Carharrt. If you’re like many DIYers or handymen in their respective homes, the Torin Rolling Creeper should appeal to you. It’s a very nifty gadget that helps protect your back by allowing you to sit comfortably on its padded stool. This helps provide for a more comfortable alignment of your spine compared to simply squatting. Its durable steel construction won’t give in to your weight even with the addition of a variety of tools placed into its large tool tray under the stool. The caster wheels also help with greater mobility; you don’t need to stand up to move to another area. Say goodbye to charcoal grilling and say hello to a more efficient and definitely more convenient way of grilling your favorite delis, meats, and even veggies. With the Weber Spirit E210, you simply connect it to your liquid propane gas and you’re ready to slap on the grill tender and juicy meats and other treats. It’s more efficient as its steel burners can produce exceptional BTU for faster grilling. The cooking grates are made of cast iron and enameled in porcelain. It even comes with flavorizer bars for more magical grilled dishes. Don’t sweat grilling. Just let the E210 do its work. It’s one thing to have a griller and it’s definitely a different issue to have the right tools for the job. Instead of buying individual grilling tools and utensils, you’d be better off with the BBQ grill Tools Set from Home-Complete. Each tool is constructed of premium quality stainless steel, giving it exceptional sturdiness and durability. Inside the durable aluminum carrying case are a knife, spatula, brushes, skewers, tongs, and corn holders. It’s got everything that every man needs to turn ordinary grilling chores into a super-efficient and truly enjoyable activity, making it a great present for the manly person in your life. Whether you’re in the woods or in your backyard you will definitely have a need for the well-balanced construction of the Fiskars X27. This hard-hitting and super-splitting axe that comes in 4 different lengths is every man’s best tool for chopping and splitting wood for various purposes. It’s especially built for optimum efficiency so you will only need a single strike to split wood open. Its splitting power comes with its unique convex blade geometry with the addition of faster swings courtesy of its exceptional power-to-weight ratio. Don’t ever slave yourself splitting wood ever again. Just put the X27 in your hands. Looking at the Trucker’s Friend Survival Tool you’d think it’s one of those battle axes that PC gamers use in their characters’ conquests. But the Trucker’s Friend is not a battle axe, although it can always serve the purpose if you want it to. This survival tool is actually a curved axe, a hammer, a pry bar, a spanner, a tire chain, a lever, a tire chain hook, and a nail puller all rolled into one handy gear. Its fiberglass handle is friendly to your hands while its power grip helps absorb shocks and vibrations with every swing and blow of the tool. We don’t condone alcoholism. But we cannot escape the fact that a true man will always require a sip or two of his favorite liquor every now and then. That’s where the Stanley Classic Flask comes in. This elegantly constructed alcoholic beverage flask is an exceptional gift for the very manly person in any one’s life. Quenching your thirst for your favorite alcohol is made easy with this flask’s wide mouth. It won’t leak and you won’t lose it either as it comes integrated with a durable lanyard. With a rust-proof stainless steel, this is one gift your man will truly appreciate. So if you are looking for gifts for the manly man, this one is the perfect choice. There’s a new and very literal interpretation of the famous vessel we all look forward to tipping up whenever we crave for some whiskey or rum. That’s the BeShot Rocks Glass we’re talking about. With half of a real 0.308 caliber bullet ingeniously embedded into the side of the BenShot, invoking images of a bullet piercing through glass but frozen in the stillness of time, this is what you can rightly call a ‘shot glass’. The 11-ounce BenShot doesn’t skimp on materials either as it only uses high quality glass, making it an incredible collector’s item and a wonderful manly gift. Tired of the usual and frustratingly boring tumbler that cannot even keep your drink cool as long as you would like? Don’t worry. We hear you. And so does the guys at YETI. That’s why they designed the Rambler to help you enjoy your cold drinks a lot longer. The double wall vacuum insulation in the Rambler ensures you get the right temperature of your drinks you truly deserve. And because it’s vacuum-insulated, you can feel more comfortable having it in your hands as it won’t form condensation on its outer surface. Get the Rambler and be ready to be wowed with every drink. Some like it porcelain while others adore plastic or even glass. But for the very select few, only a mug that’s made of premium stainless steel will do when it comes to enjoying piping hot fresh brew. Unlike other materials, the choice of stainless steel is revered for its antimicrobial properties. This is what makes the Avito Coffee Mug so appealing. Other than that, its 14 ounce capacity plus double wall insulation are big pluses that many men simply cannot resist. Enjoying a cup of fresh brewed coffee or even icy cold beverages is made more meaningful with the Avito. Be sure to also check out our list of the top camping mugs for more great items like this. Whatever you do, be always careful when handling the Kershaw Brawler. As the name implies this one never backs down from a fight regardless of how tough the task can be. With its 8Cr13MoV steel blade that has been finished with black oxide coating, just holding the Brawler in your hands can already be an intimidating sight. It’s unusually long for a pocket knife, too, measuring a full 7.1 inches with its 3-inch blade fully deployed. It has a flipper and liner lock for super-speedy deployment. The Kershaw 1990X Brawler is specifically built for the toughest men of today’s neighborhoods. Fancy your own craft beer? Hosting a weekend party for your friends where booze will be overflowing? Well, in that case, you’d better get the uKeg 64 Pressurized Growler. Its 64 ounce capacity should keep everyone happy and well-contented at the party. Plus, when everything is over, you can always put the uKeg 64 on your display cabinet for everyone else to marvel at. The vacuum insulation of the uKeg keeps your beer icy cold while its air-tight cap with variable pressure regulation helps keep the perfect carbonation of your beverage. The uKeg 64 is a manly gift for beer lovers. If you love traveling and collecting small odd trinkets every time you head out of state, you might want to mount the USA Beer Cap Map on your office or living room wall and fill this up with the beer bottle caps from every state that you’ve visited so far. Of course, since the elegantly designed wooden map contains more than 50 bottle cap-sized holes, at 69, you may have to put two on certain states. The USA Beer Cap Map may not be seen as a great gift, but it sure pays homage to the favorite beverage of every man in the planet. The EZ Drinker Redneck could perhaps be the most ingenious solution to enjoying 6 cans of your favorite beer while immersing yourself into a live game of soccer, football, baseball, or even basketball, so long as they allow alcoholic beverages to be brought inside the arena. If not, then you can always fill the Redneck with 6 of your thirst-quenching soda cans. At any rate, you don’t have to leave your seat just to buy some drink. You’ll have your cans ready in your belt. At least, you will not miss any game-changing moment in your favorite sport, party, or any activity. How would you like to sample country cut beef jerky in smoky barbecue, savory hickory pepper, fiery chipotle, or sweet and spicy honey pepper flavors? If you think you’ll love these, then be ready to salivate some more with additional teriyaki, black pepper, Cajun, and sweet and spicy western cut beef jerky to go along with Buffalo Bills’ traditional and now-classic mesquite, teriyaki, spicy, and original country cut beef jerky. Giving these samplers to a meat-loving person is simplified even more as the 12-pack collection is conveniently stored in an elegant gift cooler. It’s may be just a sampler, but it’s a great gift, nonetheless. The Zombie Cajun Hot sauce Gift Set is considered one of the manliest gifts you could ever give as only the strong and determined will be able to get past through its fiery concoction. This 4-bottle gift set prides itself of 4 of Louisiana’s favorite, most revered hot sauces that will have you fanning your tongue and requesting for a gallon of milk afterwards. If you’re not man enough, you can start with the garlic before moving on to the jalapeño, cayenne pepper, and habanero, in progressing levels of heat. At least, you can truly say you’ve conquered tongue-burning Creole cuisine. It really is never fun to drink a seriously watered down beverage simply because the ice you put in your glass melted a lot faster than you could bring your glass to your lips. Whether it’s whiskey, bourbon, rum, or even your iced tea or juice, drinking from these heavily diluted drinks is like drinking flavored water. Forget the ice from your freezer. Instead, put the Whiskey Stones into your freezer, wait a few hours, pull them out, and drop them into your glass. Now pour your beverage and be ready to drink a really great-tasting beverage without the sad taste of melted ice. True whiskey lovers will appreciate this gift. Remember the first time you ordered your first-ever grilled meat served on a sizzling plate? Can you remember the sound of the sizzle as well as the smoke coming off from the burned meat? It had a different flavor and aroma to it. You can actually employ the same process of cooking by simply using the Lava Hot Steak Cooking Stone. Simply heat the basalt steak stone in the oven or on the grill, slap onto the surface your ingredients, and cook away. The set comes with a stainless steel tray to hold your hot stone and a bamboo serving platter. Designed and crafted specifically for men you enjoy the great outdoors, Timberland’s Premium Boot comes with excellent waterproofing that should come in handy when traversing muddy terrain, crossing streams and shallow rivers, and even trekking in a heavy downpour. The boot comes with mighty-strong rubber soles with exceptional ground-hugging capabilities, promising to never let you fall over slippery surfaces. But if you think the Timberland Boot is only for the outdoor, its stylish design is perfect for everyday casual use, too. This enables your man to really perform his tasks without having to change his footwear. It’s a versatile boot to begin with. 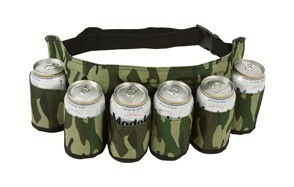 A great addition to our gifts for the manly man list. Make sure you also check our waterproof boots review for more great items like this. You’d be wrong to think that toiletry bags are just for women. Even men need this kind of portable storage solution and organizer to handle their shaver and shaving cream, skin moisturizers, nail clippers, toothbrush, comb, and other personal effects necessary for maintaining their high-level standards of grooming. And with the handcrafting of genuine buffalo leather into the RusticTown Toiletry Bag, you’re not only giving him a bag to store his things. You’re essentially giving him something elegant, stylish, and a marvel to own. It is ideal for organizing his gadgets and miniature tools, too, giving him added versatility in his activities. Sure, you can say men don’t need too much soap when taking a bath. On the contrary, highly active men and men who have to work all day in the sweatshop will truly benefit from the scrubbing action of bar soaps. Unfortunately, most of the bath soaps we have in the market today don’t last that long. But with the Duke Cannon Men’s Bar Soap, you get an incredible 10 ounce brick of super-cleansing soap. The Duke Cannon comes with a hint of cool menthol to help freshen up the early riser, helping him prepare for the long toil ahead of him. Have you ever taken the time to look at and feel the hands of your hard-working man? If he’s been working all day at the workshop, in the farm, or even in your garage, chances are his hands will already be full of calluses, so thick that he won’t even feel pain if you prick it with a needle. Don’t’ you think it’s time you care for his hands, too? This is now made a lot easier with the O’Keefe’s Working Hands Hand Cream’s special formulation that helps relieve and repair cracked and excessively dry hands while also helping it to heal properly. Is your man getting frustrated with growing his beard or mustache? Have you ever heard him complain that all the beard-growing products he has tried so far simply don’t work? In that case, it’s time to take matters into your own hands. Give him the Mountaineer Brand Beard Oil and watch his beard slowly grow healthier, fuller, shinier, and softer, making it super easy to manage. The Beard Oil replenishes the oils in his beard while keeping his skin well hydrated. This is important as healthy hair starts with a healthy skin. He’ll love the scent of cedarwood, eucalyptus, and fir, too.